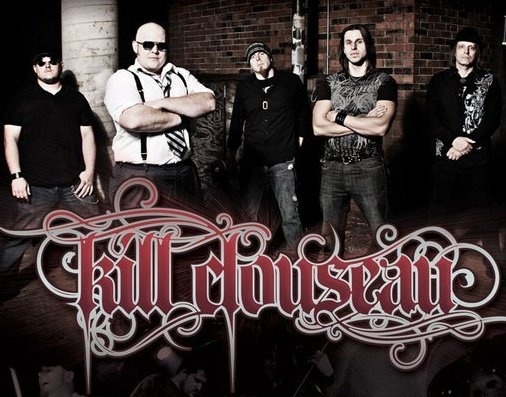 Conceived in late 2005, Kill Clouseau has been carving a niche into the southeastern rock scene since day one. With influences ranging from Rush to The Red Hot Chili Peppers, and The Mars Volta, Kill Clouseau is recognized as being one of Florida's premiere rock acts to catch. Just now returning from Applehead Recording in Woodstock NY, and working with producers Michael Birnbaum and Chris Bittner (Coheed and Cambria, Morningwood, Straylight Run, Madeski Martin and Wood) their album "Naughty Shadow Puppets" is set to be unveiled October 2011. Alongside the albums release, three full production music videos are underway with the master plan of having a video for every song on the LP to create a full DVD movie experience scheduled for release Summer of 2012. Kill Clouseau is comprised of members with musical backgrounds as unique as the band's sound. Classically trained vocalist (Cody Williford) and pianist (Jake James), rock influenced bassist (Jonathan Langley) diversely talented drummer (Mark Hayes) and avaunt-garde guitarist (Ash von Chamier), make up the band's roster. Known for their insane stage energy accompanied with a huge almost orchestral type sound, it is hard to walk away from a Kill Clouseau live experience not feeling mesmerized.